Puma Energy Singapore Pte Ltd has announced the appointment of Emma FitzGerald as CEO. FitzGerald, 51 and a UK national, will succeed Pierre Eladari on 2 January 2019. Eladari, who joined Puma Energy in 2004, announced that he was stepping down as CEO last June. Under his leadership, the company has become a leading player in fuel distribution around the world with a presence in 49 countries, USD15.2 billion of revenues in 2017 and more than 3,000 service stations globally. 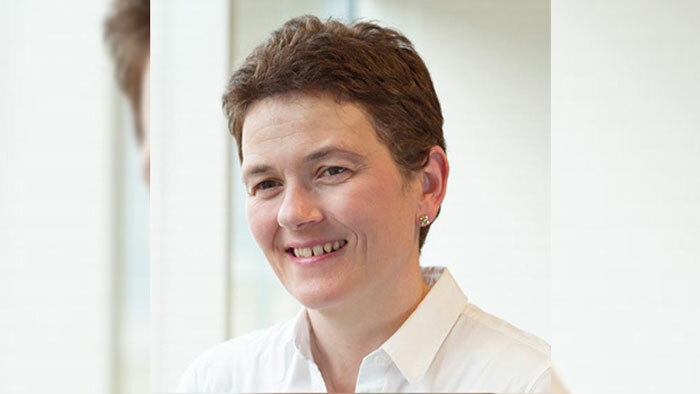 FitzGerald brings to her new role a wealth of relevant experience from energy and utility industries, having served until July of this year as executive director of Severn Trent, the UK water and waste services business, and previously as CEO of UK Gas Distribution at National Grid. Prior to these roles, she pursued a 20-year career with Royal Dutch Shell where she held a variety of technical, strategic and general management positions based in Asia and Europe, including vice-president, global retail network, vice-president downstream strategy, managing director of Shell China/Hong Kong Lubricants based in Beijing, and managing director of Shell UK LPG. She has also held a number of non-executive director positions, at companies including Cookson plc, Alent plc, and DCC plc. “We are thrilled that Emma has decided to join Puma Energy at this important moment for the company. Appointed after a wide-ranging and rigorous global search spanning multiple industries, she is an executive of the very highest calibre. Her experience and expertise put her in an ideal position to build on the strong foundations that Puma Energy has established over the last 15 years,” said Graham Sharp, chairman of Puma Energy. “It is a privilege to have the opportunity to lead such a diverse and dynamic organisation, which plays a critical role in the communities it serves. I’m very excited by the platform the Puma team have created and the scope it offers to maximise the value of the business as we deliver great services for all our customers,” said FitzGerald. Puma Energy is a global integrated midstream and downstream oil company active in 49 countries. Formed in 1997 in Central America, Puma Energy has since expanded its activities worldwide, achieving rapid growth, diversification and product line development. The company directly manages more than 8,400 employees. Headquartered in Singapore, it has regional hubs in Johannesburg, South Africa; San Juan, Puerto Rico; Brisbane, Australia; and, Tallinn, Estonia. Puma Energy owns and operates a network of 104 storage terminals, with a total capacity of 7.6 million m3, as well as more than 3,100 retail sites in Latin America, Africa, and the Asia Pacific and is present at 79 airports. Puma Energy’s core activities in the midstream sector include the supply, storage and transportation of petroleum products. Puma Energy’s activities are underpinned by investment in infrastructure which optimises supply chain systems, capturing value as both asset owner and marketer of product. Puma Energy’s downstream activities include the distribution, retail sales, and wholesale of the wide range of refined products, with additional product offerings in the lubricants, bitumen, LPG and marine bunkering sectors. Puma Energy also provides a robust platform for independent entrepreneurs to develop their businesses, by providing a viable alternative to traditional market supply sources.